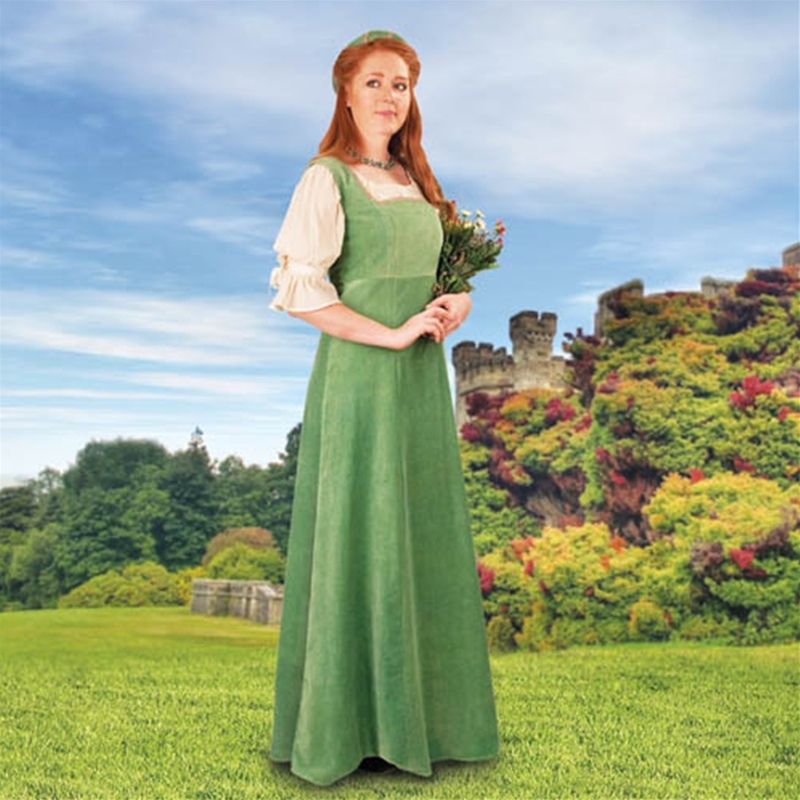 No matter what season the faire you’ll look stunning in this form-flattering, medieval overdress. 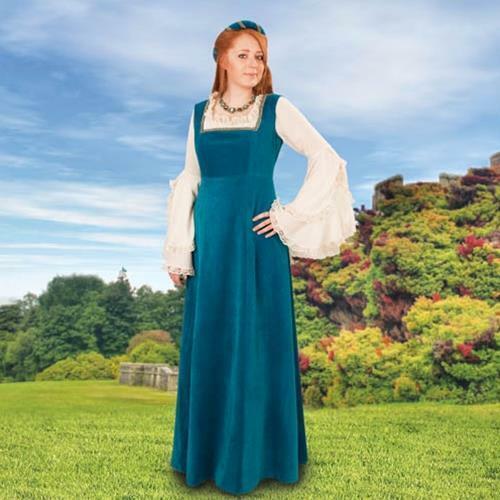 Made of soft cotton velvet, this dress sports both a generous length and square neckline trimmed in gold. A color matching head ring is included for completing this look. 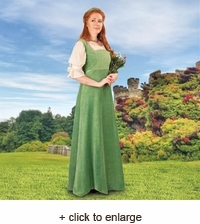 Pictured with our short sleeve Italian Camicia, it will look lovely with the Celtic Chemise or any of our other chemises. Available in Soft Green or Teal Blue. S, M, L, XL.